April showers bring May flowers…and tax season. Tax season is stressful enough without being worried about getting scammed. Yet threatening scammers pretending to be from the IRS make up almost half of the 5,000+ scam call reports that the Consumer Assistance Program received last year! 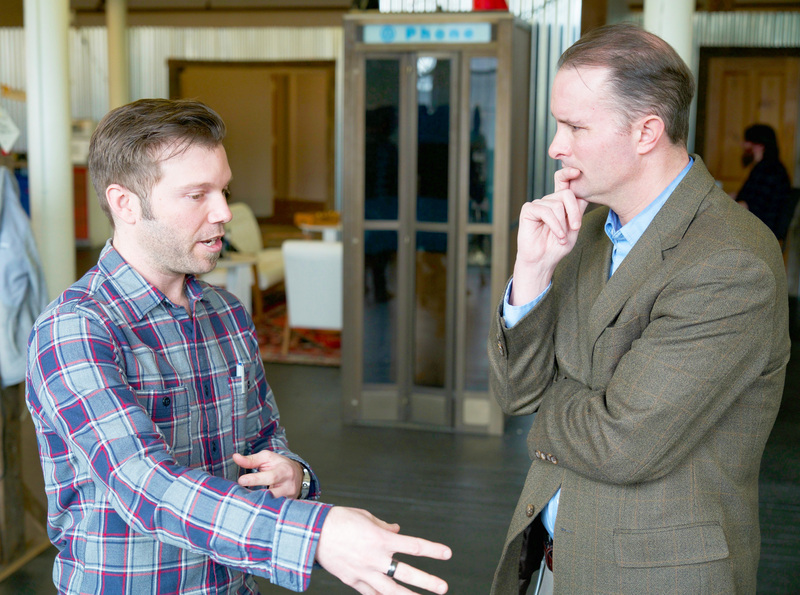 Attorney General T.J. Donovan and Tax Comissioner Kaj Samsom recently held a joint event to warn consumers and raise awareness about tax and identity theft scams. They informed the public that the IRS will never call you directly if you owe money. Many Vermonters are also concerned about tax identity theft. The first way to prevent this type of theft is to protect your Social Security number. Never give out sensitive personal information to an unknown entity. Make sure your passwords are secure and not easily guessed. If your Social Security number has been stolen, file your tax returns early so that no one else with stolen information has time to file a return on your behalf. You can also register to monitor your information, so you know if there’s an issue such as a fraudulent tax return. You can visit: https://www.irs.gov/payments/view-your-tax-account. If a fraudulent tax return is indeed filed—your return is rejected because it is a duplicate file, or you are instructed to do so—complete IRS Form 14039, Identity Theft Affidavit. The IRS requests that you fill out this form online then mail it according to instructions. 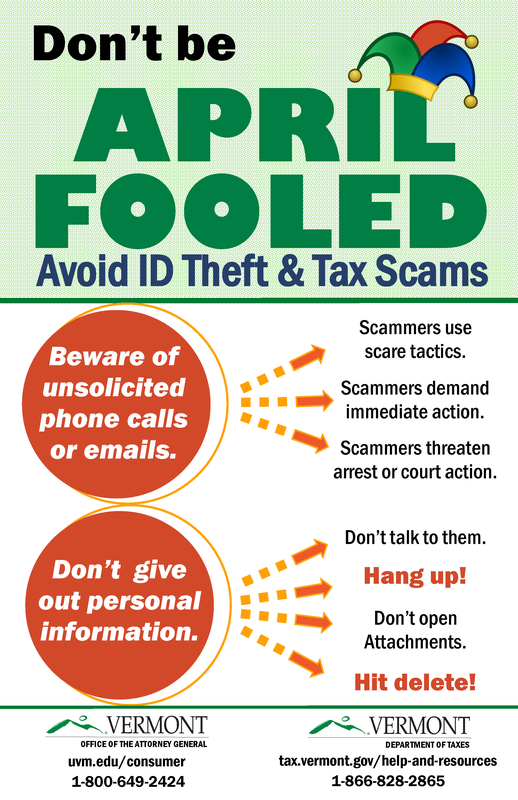 Be alert to scare tactics: Scammers demand immediate action or threaten arrest or court action. Don’t talk to them: hang up! Don’t open attachments: hit delete! 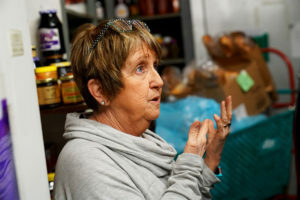 Bonnie Evans, a native of St. Albans, has been quietly but tirelessly supporting her community in ways big and small. We are thrilled to honor her as Vermonter of the Month, and her friends and neighbors were eager to express their support. 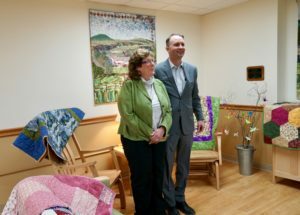 CAP spoke with several folks in Franklin County that described Bonnie as thoughtful and reliable, who warms the area – literally and figuratively – with her beautiful quilts! Bonnie was born and raised in St. Albans. She has lived in Swanton since she and her husband Mike, her high school sweetheart, built a house there 40 years ago. They have two terrific daughters and seven wonderful grandchildren. Bonnie graduated from college in New York with an Associates degree in dental hygiene. Before she retired six years ago, she worked at the same dental practice for nearly 43 years, taking care of three generations of Vermonters. Bonnie primarily supports her community through quilting! She volunteers at Northwestern Medical Center (NMC), donates quilts to myriad local organizations, and is part of the Franklin County Quilters Guild. Read more about Bonnie below. Which community effort makes you the proudest? My biggest contribution personally and the one I am most proud of is the work I do making about 100 quilts per year for the Northwestern Medical Center (NMC). I make quilts for Palliative Care patients and their families, Breast Cancer Comfort Quilts for patients undergoing surgery, as well as quilts to be given out to little ones coming through the Emergency Department. You would only need to read a few of the thank you notes I get that would melt your heart…at least it sure does mine. It was ten years ago that I was approached by one of the nurses whose family member had won one of the quilts I had donated to a local charity raffle; and she asked if I had any interest in making quilts for the hospital. It blossomed from about 12 quilts the first year to 101 last year. The Palliative Care/Comfort Care program at NMC is phenomenal and I only play a small part with the quilts that the patients and their families receive. I am only a small part of the great things in this community and our hospital. What other members of the community do you support with your quilts? Several years ago I got a group of friends together, and we made Veterans Quilts for the local Veterans, and even sent some to the White River Junction VA Hospital. My husband is a Vietnam Veteran. I most recently made a quilt that my husband and I presented in a ceremony honoring William Busier from Essex, a WWII POW who just turned 100 years old. It has been my goal to get as many quilts to those veterans as I can. I have over the years made quilts for the Fletcher Allen Children’s Clinic (now UVM), the Ronald McDonald House, Make-A-Wish Foundation, our local veterinarian’s “Needy Pet Fund,” Chester’s Promise Horse Rescue, local schools for playground equipment, and just last week made a quilt for the St. Albans Rotary Expo fundraiser. We heard a rumor that you do additional volunteer work! Right now I volunteer at the Northwestern Medical Center one day a week, helping patients navigate our new wonderful surroundings. I am also the Hospitality Chair for the Hospital Auxiliary and coordinate our meetings throughout the year. I have also been actively involved with the Franklin County Quilters Guild (a local non-profit) for 20 years. I think I was president 4 times and have held every office!! Our guild supports many local charities throughout the year and I am involved in pretty much all facets of that. As a group we provide quilts to Home Health, Laurie’s House, local disaster victims (to mention a few) and support our local food shelves. Quilters are a very generous group of people. I think if you don’t get involved in something in your community, you never know what you can achieve. I get such satisfaction from volunteering and making and donating these quilts, I can’t imagine not doing it. I often wonder how I had time to work! This is a monthly series in which the Attorney General will feature a Vermonter doing exemplary work in their community. Have someone you think should be featured? Email AGO.CAP@vermont.gov. Darcie McCann has served as the Director of the Northeast Kingdom Chamber for 23 years. She is a native of the Northeast Kingdom, and supports her community in myriad ways. Darcie is an avid sports fan, known for her chocolate chip cookies, writes a biweekly column for the Caledonian-Record and has been involved in many local community groups and organizations. This includes: mentoring local students, serving on the boards of the Northeastern Vermont Regional Hospital and Burklyn Arts Council, participating in the Regional Tourism Council and her local church, and supporting Vermont chambers across the state as President of Chamber Benefits, Inc.
Darcie tirelessly promotes the NEK as a place to visit, or live and start a business. She travels to Eastern states and Canada, and plans the Colors of the Kingdom and Business Celebration events through her role at the Chamber. She also spearheaded the creation of an Online Business Resource Guide — an exceptional effort to bring vibrancy back to the Kingdom. 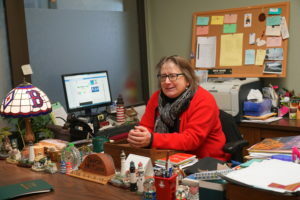 Darcie returned to the Kingdom after a career in journalism, after serving as the executive editor of the Wellesley Townsman in Massachusetts and a reporter and section editor at a San Diego paper. She worked in college public relations at Merrimack College and Lyndon State College before taking the Northeast Kingdom Chamber post. Married for 29 years, the recently widowed mother of two adult children is looking forward to her daughter getting married in May 2018. I got persuaded to try for the Northeast Kingdom Chamber position by the previous director, a good friend, who was leaving the post for another job. I figured I would stay at the chamber job, tops, for 10 years … and here I am, celebrating my 23rd year at the chamber. I wouldn’t be here if I didn’t still love it and it wasn’t a challenge. I never know what the next day will bring. How have you supported the community through your work with the Chamber? Working at a chamber in the Northeast Kingdom means that you not only have to look at the economic climate of the region but also its socioeconomic variables. I have tried to not only get involved with regionwide and statewide organizations that strengthen the economic landscape but look at the reasons why we have historically had the weakest economy in the state and work to solve those problems as well. How does supporting the NEK business community support the community at large? The Northeast Kingdom business community is, in fact, your neighbors. What we strive to do at the chamber is to remove some of the roadblocks that businesses face to help our fellow residents succeed. We not only help bring in additional business through aggressive marketing but also save them money through our many discount benefit programs. I am a native of the Kingdom. I think that is one of the reasons I am still here at the chamber after 20 years; when you love a place so much, you want to see it not only flourish but thrive. My advice for anyone thinking of helping out in their community or region is that it is not a burden but a privilege. I have gotten far more from being involved in the Kingdom than I have given, I can tell you that. I have gained a legion of friends, satisfaction from helping the Kingdom and a really broad and diverse support system. If you love what you are doing, it is never a chore.